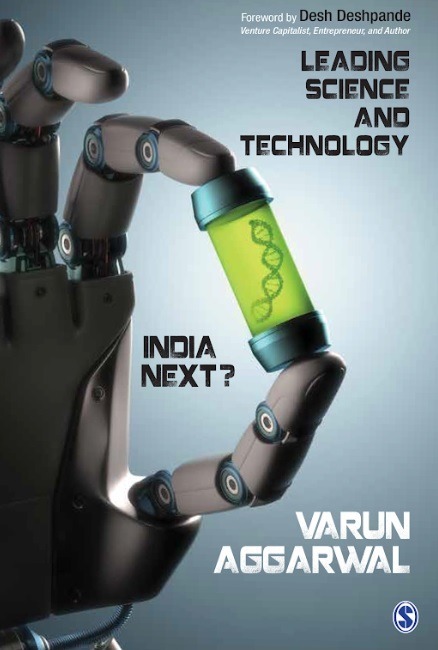 Author of “Leading Science and Technolgy: India Next?”, Varun Aggarwal said that the government liberalized the business environment in India 30 years back, but the science ecosystem is still waiting for its liberalization. A researcher and entrepreneur, Varun Aggarwal earned his Bachelor of Engineering degree at Delhi University and later dropped out of a Ph.D. program at Massachusetts Institute of Technology with a Masters degree. He co-founded Aspiring Minds in 2008 to drive meritocracy in labor markets. Aspiring Minds is one of the largest employability assessment companies in the world. His work has led to the world’s first machine learning-based assessment of coding skills and the world’s first automated motor skills assessment. Aggarwal is also a promoter and advocate of data science. 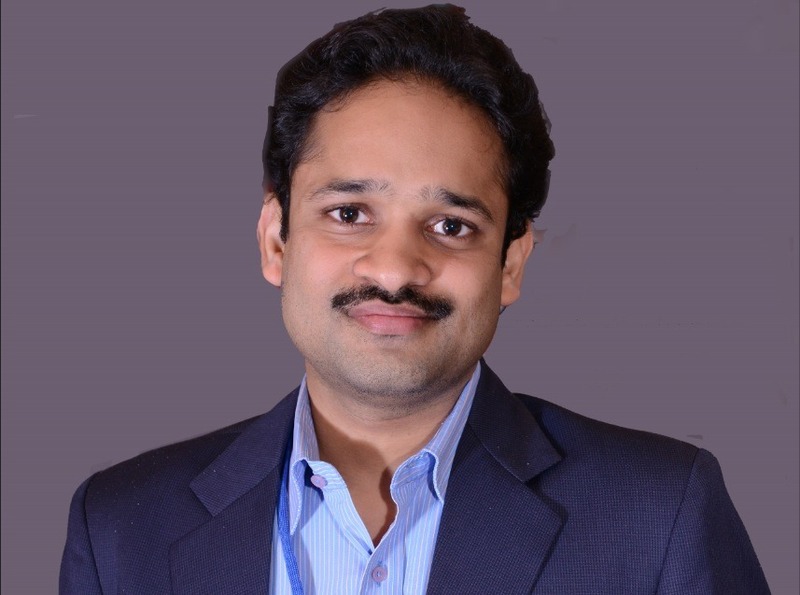 In conjunction with colleagues, he runs ML India (www.ml-india.org), to build India’s data science ecosystem, and also organized world’s first data science camp for school children. He has a passion for writing about science. His earliest works include an evaluation of Jagadish Chandra Bose’s contribution to the invention of the radio, which won him the AWA award. He also writes poems and stories. India has a large IT industry and buzzing startup ecosystem. Isn’t India already a leader in science and technology? India’s IT industry provides trained manpower and efficient processes to serve the world’s IT needs. The industry doesn’t really have any unique or irreplaceable offerings, buoyed by science and technology. Our advantage lies in low cost. Similarly, most Indian startups copy Western models and apply them in the Indian context. There are very few Indian startups that develop globally competitive technology or products. Only one Indian company made it to the MIT Technology Reviews’ World’s Smartest Companies 2012-17. To be a leader in science and technology, India needs to be a creator of new knowledge and spearhead discoveries and inventions in the areas of AI, neuroscience, biotechnology and others. This is possible only through cutting-edge research at universities. Our companies should be at the forefront of exploiting these technologies to create unique products and services that are globally competitive. This isn’t happening today. In your book, you talk about India becoming a leader in science and technology? Why should a developing country like India invest in research, and not say, social programs? There are three reasons for this. First, India needs to sustain its economic growth to money for social programs and jobs. Today, businesses are getting disrupted by technological progress. Consider the example of AI – it has a huge impact on all kinds of businesses. If our businesses do not draw on latest research, they will lose their competitive edge in the global market. Our economic progress will stall. Due to our dismal research record, we have missed out on being a part of several technology revolutions– the Industrial Revolution, the Internet, the Mobile Phone revolution and so on. We do not have the world’s largest companies in any of these areas. Today, technological change has a much stronger impact on businesses. If we do not lead in science and technology, soon we will not have any money left for social programs! Second, India is one of the world’s largest economy, with enough money with the government and private individuals. The government can invest in long-term research without taking away the budget allocated for short-term social programs. We need to balance our resources in a way that we make our economy stronger in the long-term, while we cater to the immediate socio-economic needs of our people. Third, I think that use of scientific methods is an indispensable tool for solving India’s social problems. One particular example in my book is that of Abhay and Rani Bang, who used the scientific process to decrease infant mortality rate in Ghatcharoli. Their findings were adopted by WHO and the whole developing world benefited out of it. Similarly, India has an opportunity to develop affordable and effective healthcare for the whole developing world. This is just one area. India can provide more long-term and sustainable solutions to many social problems through science and technology than just tinkering. What are the top issues that plague the Indian research and innovation ecosystem? I would say the first issue is of intent. Economic growth and social upliftment get a lot of focus in India. But research and innovation aren’t talked about in the same vein. Neither the government nor the public is actively concerned about India’s position in science and technology. We think that startups alone will make the difference. In contrast, the Chinese government has been running a long-term program since the 1990’s to make China a leader in research and innovation. In many areas, China is now only second to the USA. India needs a similar laser focus on science and technology. Once the intent is there, the government needs to fix three key issues for our science ecosystem to blossom. First, provide autonomy and independence to our research institutions and researchers. The government liberalized the business environment in India 30 years back, but the science ecosystem is still waiting for its liberalization. We have government-ordained salaries for researchers, insufficient money for research travel and bureaucratic hurdles to procure equipment and funds. Second, the government needs to invest in excellence, rather than spreading the money thin on many low-impact projects and institutions. Third, the government needs to create incentives to perform and make our research institutions accountable. We need to get our institutions to compete for resources and accumulate resources in the high performing institutions. All these measures will help create centers of research excellence in India, which will become the nodal points for the next revolution. Why doesn’t India have institutions such as MIT, Stanford or a Tsinghua University in China? One reason for this is historic. The policy of independent India saw higher education and scientific research as two disjoint activities. Our higher education institutions were meant to teach, conduct examinations, while the government labs such as CSIR and many others were to do research. This view has persisted until today, where the majority of our research personnel and funding are in government labs. In contrast, across the world, the primary model of research is at higher education institutions. This model results in great research training through Ph.D. programs and a continuous churning of ideas by new students who work with the faculty. Even government labs collaborate vigorously with research universities to further research. In Indian institutions, this is just starting to happen, albeit very slowly. We need to accelerate this big time. China has some great examples where world-class universities were built just over a span of 20 years. The government needs to take lead to disrupt our current institutional models. Also, India needs private initiative in creating great research universities like MIT and Stanford. AI has recently become a major area for the industry globally. US and China are competing fiercely in AI. What do you think India should do? India needs to work on three aspects. The first and foremost is to get a critical mass of AI researchers in India. These are basically folks with a Ph.D. in AI from world-class institutions and with highly qualified advisors. This community will become the pivot for developing the ecosystem. Second, we need to create unique AI programs that address our problems, exploit our strengths and create sustainable differentiators. This can happen only when multiple players viz. researchers, industry, our defense and space organizations and government, collaborate to propose unique high-impact projects. This collaboration can be fostered through inter-university centers, availability of shared funds and a competitive process. Last and most importantly, we need to develop training programs in various shapes and forms for the different types of audience – people from different domains, company personnel, engineering students, to learn and apply AI. Such an approach will show impact within 5 years and as per my calculation, this can be achieved with an annual outlay of $100M for the Indian government. It will propel India to a leadership position in AI. But we need to start now. How can Indians in America and globally contribute to India’s research and innovation ecosystem? The Indian diaspora is one of India’s biggest asset. Indians in America have been highly successful as professionals, faculty, university deans/presidents, and company CEOs. Till now, these individuals have spent their intellect and funds in educational, entrepreneurship and social programs in India. Now is the time for our diaspora to start contributing to research and innovation in India. This can be in the form of advocacy to the government, research aid to Indian universities (with a demand for performance), private research initiatives and many others. Given their positions in companies and in universities, they can make a great impact on the Indian system. In fact, for my book, I talked to multiple people in the US, who had great insights in policy and on what needs to be done. What do you think about the recent move of the government in giving more autonomy to institutions and the PM’s Ph.D. fellowship? The current policies have the right intent but could be drafted better. Let us consider the autonomy of institutions. It is still not clear whether the institutions will be given financial autonomy. The IIM autonomy bill did not give independence to set faculty salaries. This is a non-starter. Then, the process of choosing institutes of eminence can be improved. Currently, there is no person with science and technology background on the committee to select these institutions. The additional funding is incremental – it will add 20% to the annual budget of the IITs. Finally, the process of evaluating institutions and giving them additional funds is not a one-time activity. It needs to be a continuous process for many years to yield any impact. The government needs to get the institutions to compete, regularly audit performance and allocate further resources based on their performance. Only then, we can achieve excellence. The PM research fellowship has a major flaw of limiting it to students of particular elite colleges. My friend, a fellow MIT alumnus, pointed out to me, that neither of us would have been eligible for the scheme! The intent of the scheme is right – to extend scholarships to top students. But, the top students cannot be a function of their undergraduate institute =, but their ability, say as demonstrated in GATE/NET. Such disenfranchisement will further disenchant our youth from the research career. The other larger issue is that interventions in one isolated part of the ecosystem will not yield results. We will not get good Ph.D. students till we have great faculty and vice-versa. We need to take holistic measures to revive the research ecosystem. What role can the private sector and industry play in research and innovation? We are in times when engaging in research and innovation is a necessity for private enterprises. Those who do not do that and fail to keep up with innovation will soon be outcompeted. Thus the Indian industry needs to start engaging vigorously with and providing support to Indian research institutions and Ph.D. students. For the last two decades, the IT industry has engaged with engineering institutions and Bachelor’s programs and helped both create capacity and good quality in at least some places. Similar focus is needed on Ph.D. programs and research universities now, for the next decade. Second, there is space for not-for-profits doing policy work and advocacy in the area of science and technology. These organizations can act as watchdogs, perform periodic audits and engage in supporting drafting and implementing policy. We have good examples in Pratham in the education space and my organization, Aspiring Minds, in the employability space. I also see great prospects for private research universities and research institutes in India. That is the next logical step.